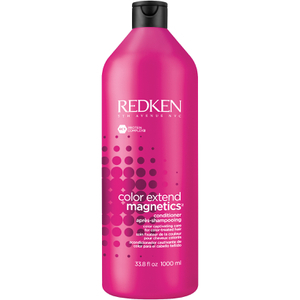 Retain vibrance and vitality with the Redken Color Obsessed Color Extend Magnetics Duo; a shampoo and conditioner specially developed to cater to colour treated hair. 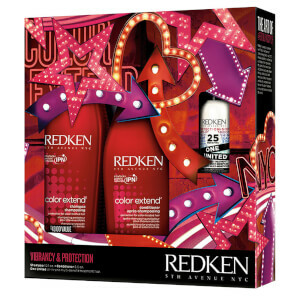 Now fortified with an exclusive RCT Protein Complex to enhance strength from root-to-tip, the pair leave locks looking replenished and healthy with long lasting colour intensity. 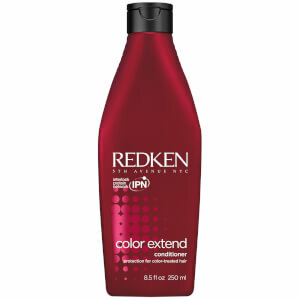 Give your colour salon-fresh vibrancy every time you wash it. Boasting a cleansing formula that thoroughly cleans your hair from root to the tip, the sulphate-free shampoo not only extends the life of your colour but works to give you a softer and smoother feel all over and luminous shine. A lightweight formula that helps to extend the life of your colour, whilst delivering softer, smoother hair with enhanced shine. 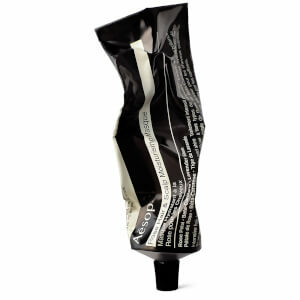 Fortified with super-charged amino-ions to seal and protect colour, its repairing formula effortlessly detangles, replenishes and strengthens hair, leaving it radiant and revitalised after every use. Conditioner: Aqua/Water, Cetearyl Alcohol, Amodimethicone, Cetyl Esters, Parfum/Fragrance, Cetrimonium Chloride, Dipalmitoylethyl Hydroxyethylmonium Methosulfate, Trideceth-5,Phenoxyethanol, Glycerin, Trideceth-6, Benzophenone-4, Trideceth-10, Sodium Cocoyl Amino Acids,Butylene Glycol, Benzyl Salicylate, Chlorhexidine Digluconate, Limonene, Linalool, Potassiumdimethicone Peg-7 Panthenyl Phosphate, Benzyl Alcohol, Sodium Sarcosinate, Propylene Glycol,Hydroxycitronellal, Alpha-Isomethyl Ionone, Arginine, Serine,2-Oleamido-1,3- Octadecanediol, Hydrolyzed Soy Protein, Glutamicacid, Citronellol, Hexyl Cinnamal, Acetic Acid, Sodium Hydroxide,Camellia Sinensis Leaf Extract, Hydrolyzed Vegetable Proteinpg-Propyl Silanetriol, Sodium Chloride, Potassium Sorbate, Bambusa Vulgaris Sap Extract, Sorbic Acid, Tetrasodium Edta(D184707/1).